Do you get job interviews, but find that the job offer goes to someone else? Often, job seekers make simple mistakes during the interview that cause employers to disqualify them quickly. Here are ten things to avoid doing so that you make the best possible impression on an employer. 1. Be late. If you are late for the interview, you are starting with two strikes against you. Lateness gives the impression that you are someone who cannot manage his or her time or self well. Aim to be at least 15 minutes early to the interview, especially if you are going to a large company. This gives you an extra cushion of time if you encounter traffic delays, problems parking, finding the right building or office, etc. 2. Dress inappropriately. Look the part of a business professional for the work for which you are interviewing. Find out ahead of time how people dress at the company. You can see if there are employee pictures on their website and/or make a visit prior to the interview to see what the dress code is. When in doubt, dress a level above what you think is required as an employee. Make sure your clothing is not sloppy or too revealing. 3. Greet the employer too casually. "Hey, Jack, how's it going?" is probably a poor start to an interview unless you are very good friends with the interviewer. Greet the employer by Mr. or Ms. and his/her last name. Let the employer take the lead in giving you permission to use their first name. Greet your interviewer with a smile, handshake and good eye contact. 4. Be ignorant about the organization. Research the organization ahead of time. Find out everything you can about the company's history, mission, goals, financial situation, competitors and current problems. Think about how you can show the employer that you will be an asset to the organization given what you have learned about its needs. 5. Talk too much. Limit your responses to questions to approximately 60 seconds. (If you have prepared yourself well for the interview, you can pack a lot of important information about yourself into that amount of time.) People typically lose interest in listening to a long response to a question. If the employer wants more information, he or she can always ask a follow-up question. 6. Ask about salary, benefits, vacation time, etc. 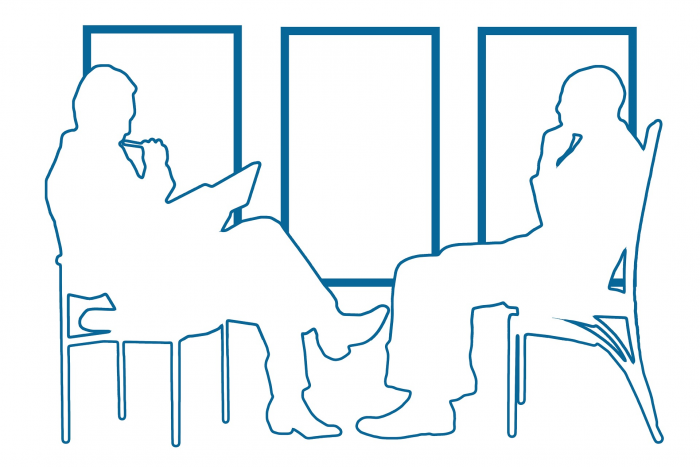 early in the interview.These types of inquiries early on give the impression that you are more interested in what you could receive from the company than what you could contribute. Wait until the employer brings up these items for discussion and/or you are offered the job. 7. Have your cell phone ring. Turn off your cell phone during the interview so that your ring tone doesn't interrupt the interview, or you are not distracted by a vibrating phone. 8. Badmouth a former boss or company. Avoid speaking negatively about people or organizations from your past. You will be seen as someone who complains, blames or who would bring negative energy into the company. Who wants to hire someone like that? 9. Expect the interviewer to ask the right questions. Many employers are good at their jobs, but are not good interviewers. Think ahead of time about what information the employer needs to know about your qualifications for the position, and make sure you communicate that information during the interview. As the interview is winding down, if you don't feel the interviewer has learned what he or she needs to know about you, you can ask a question such as, "May I tell you a little bit more about why I think I would be a good fit for this position and organization?" 10. Fail to send a thank-you note. Sending a thank you note (preferably by regular mail) within 24 hours will distinguish you from the candidates who do not send a note. Not only can you thank the employer for the opportunity to interview for the position, but you can also express your enthusiasm about the job and reiterate the key reasons you believe you could serve the company well in that position. There are many factors outside of your control in a job search. More than most job seekers realize, however, there are key things you can control which will impact the outcome of your interviews. Avoiding these "don'ts," and preparing to communicate your qualifications clearly and powerfully will help you more quickly hear the words, "I'd like to offer you this job!"